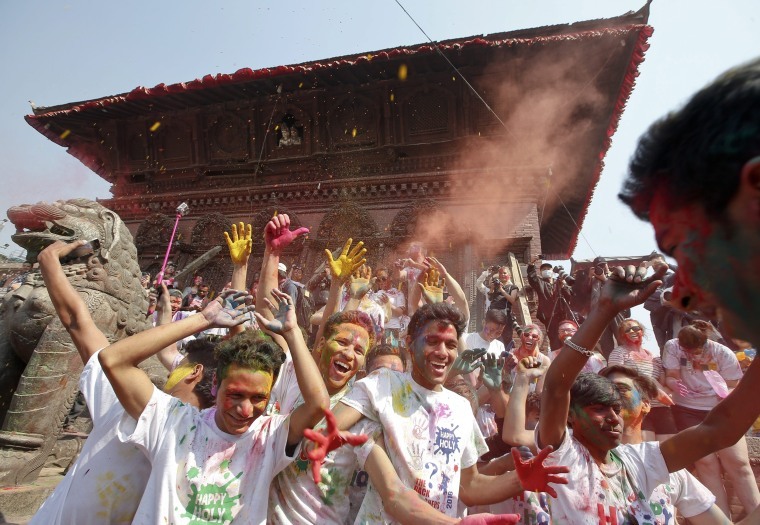 People from countries like India and Nepal come together for Holi, also known as the Festival of Colors, and celebrate the coming of spring. 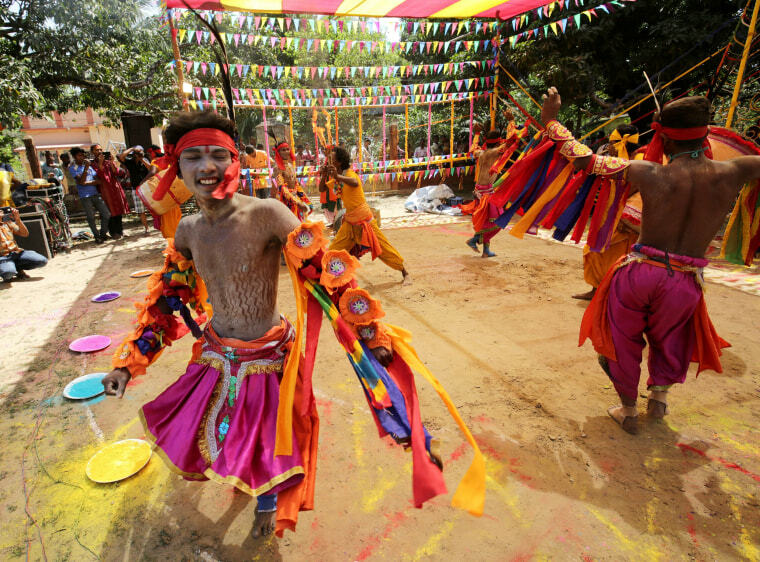 Chau dancers of Bengal dance during the celebration of the Holi festival at Barsul village in Calcutta, India on March 23, 2016. 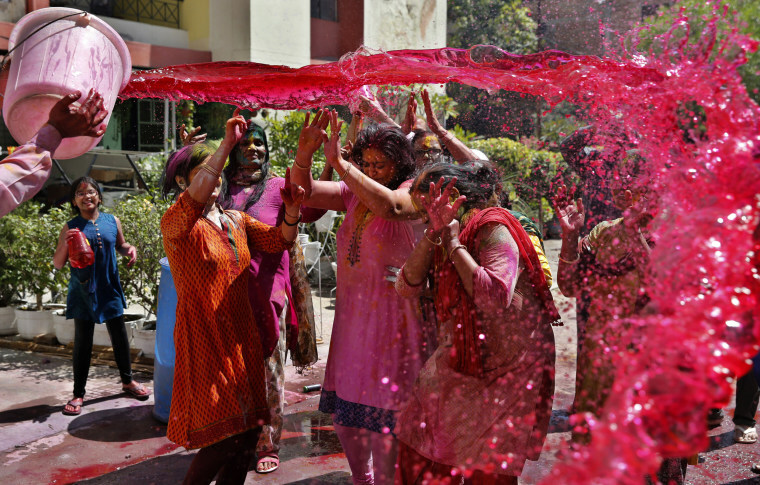 Holi is celebrated at the end of the winter season on the last full moon day of the lunar month Phalguna, which usually falls in the later part of February or March. The main event is celebrated by people throwing colored powder and colored water at each other. 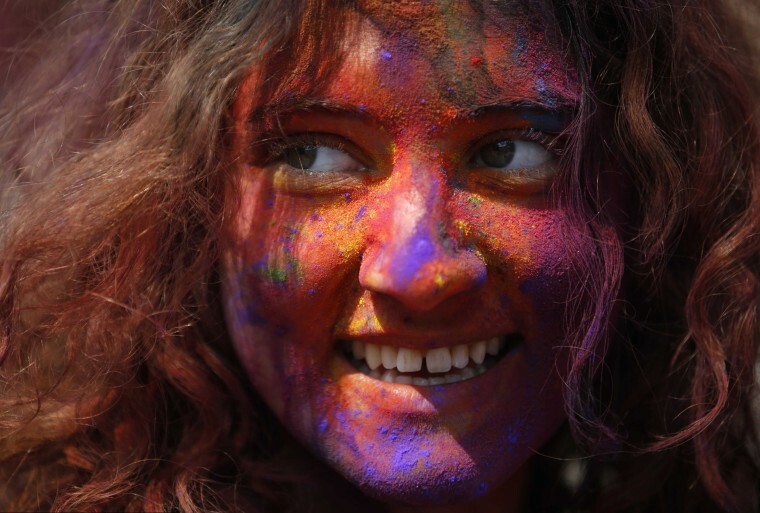 A woman with colored powder smeared on her face smiles as she celebrates Holi, in Kathmandu, Nepal, on March 22. 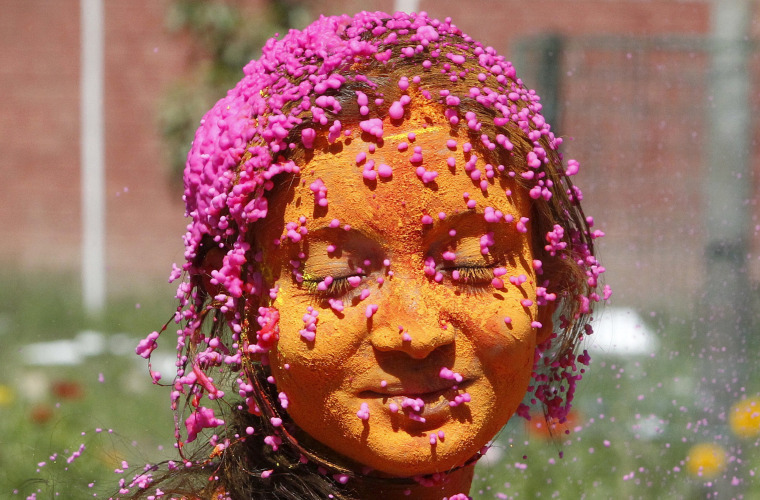 People painted with colored powder dance during celebrations of the Holi Festival in Kathmandu, Nepal, on March 22. 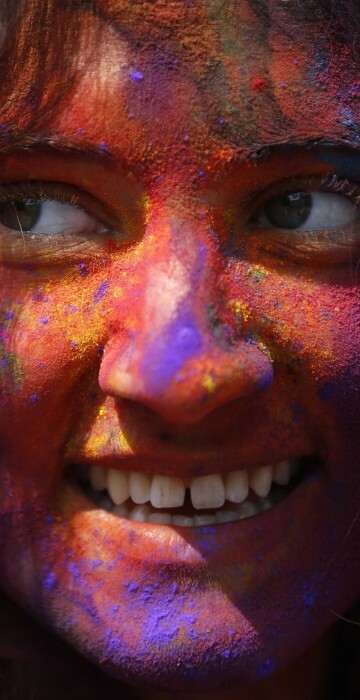 A girl with her face smeared in colored powder celebrates Holi at a university campus in Chandigarh, India on March 23. 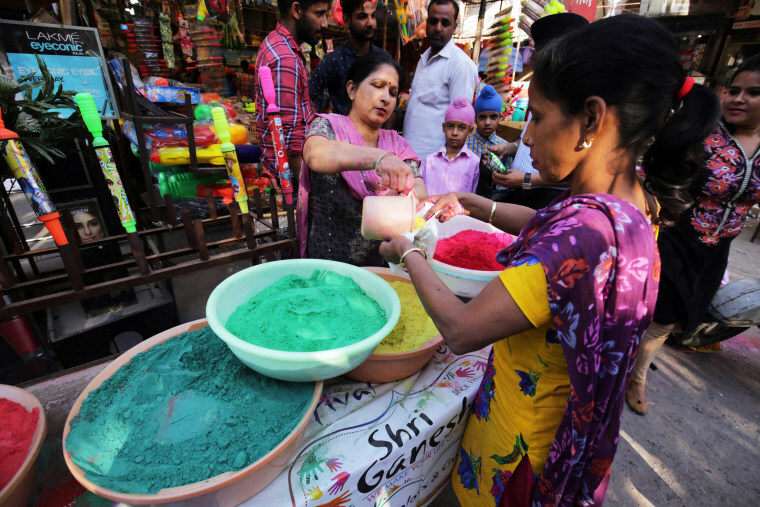 Indian women vendors pack powdered color for sale at a shop on the eve of the Holi festival in Amritsar, India, on March 22. An Indian man pours a bucket of colored water on others during Holi celebrations in Allahabad, India, on March 23. The holiday marks the beginning of spring and the triumph of good over evil. 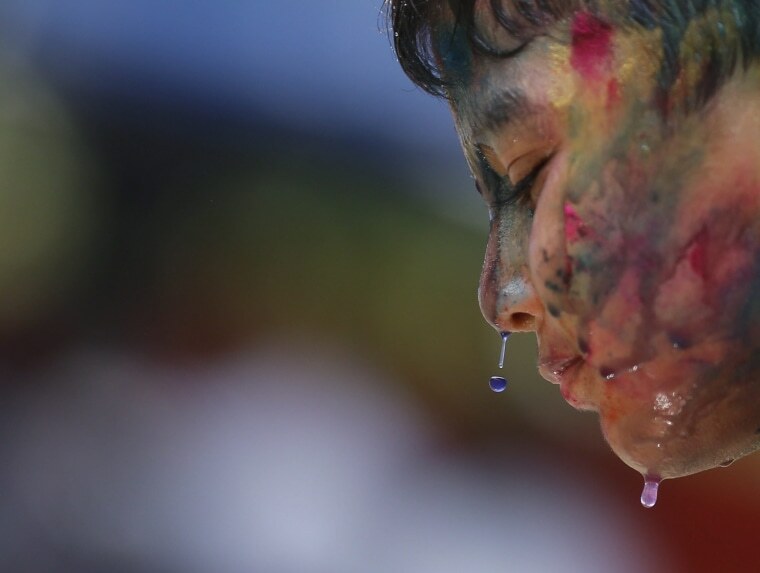 A boy is smeared in colors during the Holi festival celebrations in Yangon, Myanmar, on March 23. 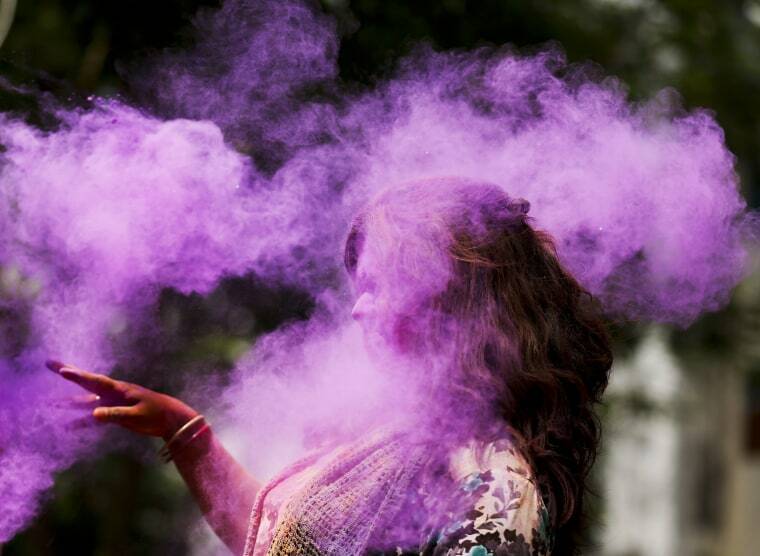 The festival of colors is known for people all over painting each other in bright pigments, distributing sweets and squirting water at one another. A woman shuts her eyes as colored powder is smeared on her face during Holi celebrations in Dhaka, Bangladesh, on March 23. A widow daubed in colors takes part in the Holi celebrations organized by Sulabh International in Uttar Pradesh, India,on March 22. Traditionally in Hindu culture, widows are expected to renounce earthly pleasure so they do not celebrate Holi. 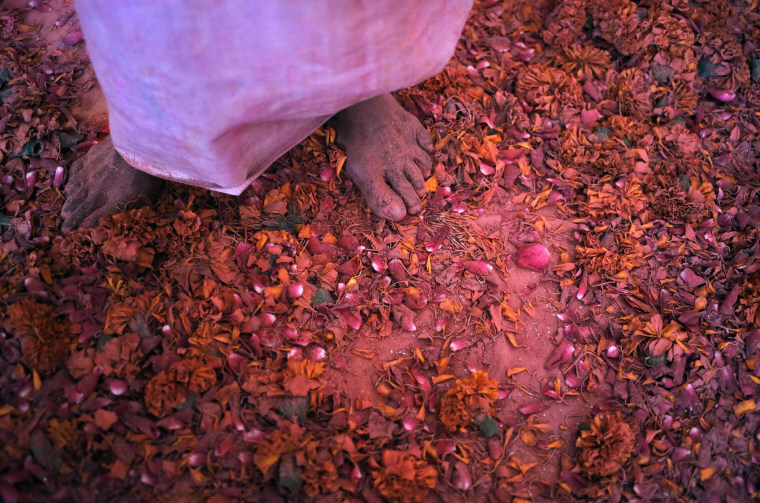 But women at the shelter for widows, who have been abandoned by their families, celebrated the festival by throwing flowers and colored powder.